Selling online and maintaining an e-commerce website is challenging. The new ruling on sales tax makes it even more difficult for small retailers to grow their business. 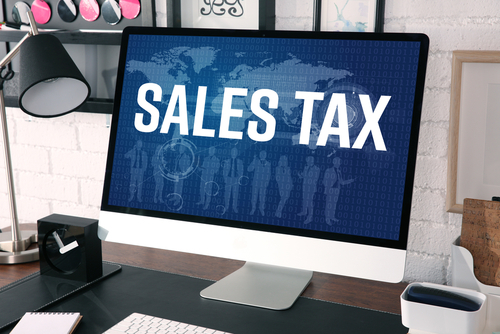 According to the U.S. Small Business Administration or SBA, small businesses are required to collect and asses specific sales tax and pass it forward to authorities within the prescribed period. Just like Bank Swift Codes, sales tax differs from one location to another. It’s crucial for your business to know the sales tax ruling for each location or you risk being sued. To help you understand this better, here are three things you should know. Why Sales Tax Law Is Important To States? Before online retailers existed in the US, sales tax were already being collected, but retailers were only paying for transactions made where they have a physical location, like a retail store. This loophole made it easy for catalog retailers to earn a lot of money back in the ’90s. Community Projects – These projects include buildings, road and other infrastructure needs of the state. Community development projects are usually the last priority as they require more budget than other projects. Public Services – This includes public schools, park maintenance, libraries, and other similar services. Some people expect these services to be available whenever they need them. Security Services – This includes local police force and fire department. Some states try to alleviate the cost of maintaining such services by employing volunteers. Without the effective implementation of sales tax, the state would have to increase other taxes to cover for their losses. In reality, retailers were supposed to collect sales tax from their consumers, but because of the Supreme Court ruling, they had enough precedent to avoid collecting taxes. What South Dakota vs. Wayfair Ruling Means For E-commerce? The recent ruling on the South Dakota v. Wayfair issue means that all retailers will now be required to collect sales taxes from their customers in states where they have an economic nexus even if they don’t have a physical presence. Sales tax law varies from one state to another. For example, if you’re an online shop that sells in South Dakota and you’ve hit a total of $100,000 in taxable sales or has shipped 200 separate taxable sales transactions into the state during the calendar year, you will trigger their economic nexus. Meanwhile, Ohio’s economic nexus on sales tax is only for those retailers who have sold over $500,000 in taxable sales into the state. Even employees attending conferences, trade shows, or doing work-related tasks in other states can trigger economic nexus. Businesses need to make sure they will not be held liable for not collecting appropriate sales taxes as this can result in penalties and even bankruptcy. How Do You Make Sure Your Business Is Compliant? The economic nexus law doesn’t just apply to online retailers. As mentioned, it also applies to offline sales such as employees attending trade shows. The first step in complying is knowing the sales tax law in each state. If you don’t have a solid understanding of these laws, your business can be vulnerable to fines and unexpected audits. Some online retailers have started to collect sales taxes but are doing it manually. While this may work for smaller businesses, it may not be sustainable for large scale enterprises or once your business goes into hyper-growth. 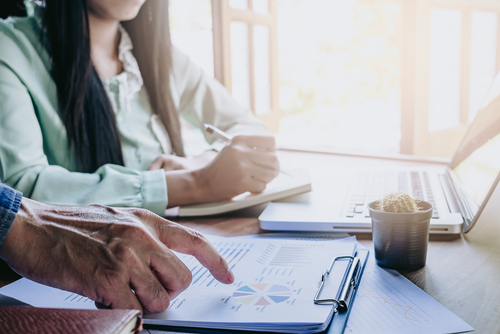 Hire a full-time auditor – If you have the budget for it, you can hire an auditor to monitor the sales your company is making, both online and offline. Auditors can also help you navigate the tricky parts of filing for sales taxes. Use cloud-based solutions – There are automation solutions available in the market such as Avalara. Services like these offers real-time location and accuracy in automating sales tax calculation for reach transactions made on your website. The economic nexus law on sales taxes may sound like a way for the government to hamper the growth of online businesses. But when you think about it, it’s also about helping states get the right support that they need in terms of funding their projects. If you want to stay ahead of the game, consider finding a solution quickly and make sure to file your taxes regularly to avoid penalties.